Nowadays, enterprise mobile apps are making a revolutionary change in the marketplace because of playing a vital role in giving companies an edge over their competitors by increasing work productivity, bringing ease to the process of completing the tasks, enabling information sharing and in building strong connections with their esteemed customers and stakeholders. You cannot deny the fact that the launch of an enterprise mobile app includes some obstacles and these problems can be resolved by centralizing app management through a unified dashboard. This will give you the information of all different enterprise mobile apps, which you have implemented. The complete view can allow you see the patterns of traffic, which may give you information about security anomalies or some usage errors. However, you should make sure while tackling centralized app management, you need to establish a team to inspect challenges. As per a recent report, employees making use of enterprise mobile apps feel up to date, highly productive and empowered. This report also tells that how the perception of these apps can help in driving harmony as well as its adoption. On the other hand, a good enterprise app strategy should include all programs in order to measure and improve employee satisfaction through analytics, updates, training, and surveys. When you pay attention to mission-critical apps, then you are simply finding most important apps to your organization by checking workflows and by having a look at those apps that meet the needs of the entire workforce. However, you need to find the way to increase the involvement of your employees with a mobile app for becoming more productive. Several changes take place in mobile app development and staying up-to-date with those modifications will help you in having a well-developed app for your business and most of the companies feel that enterprise mobile app world is completely different from its early days. These changes are happening at a rapid pace and when you properly future-proof an enterprise mobile app program, then it is very advantageous to build a competitive mobile app strategy. You have to determine all those features that can give good results to your brand. According to the recent survey, security is the most important feature for the success because mobile devices are loaded with confidential information. In addition, 36% of respondents say that ease of publishing and updating content is a key capability that enables marketers to push the content, rest cited multiple platform support and the ability to access other devices as well as platforms as the most important requirement for success. 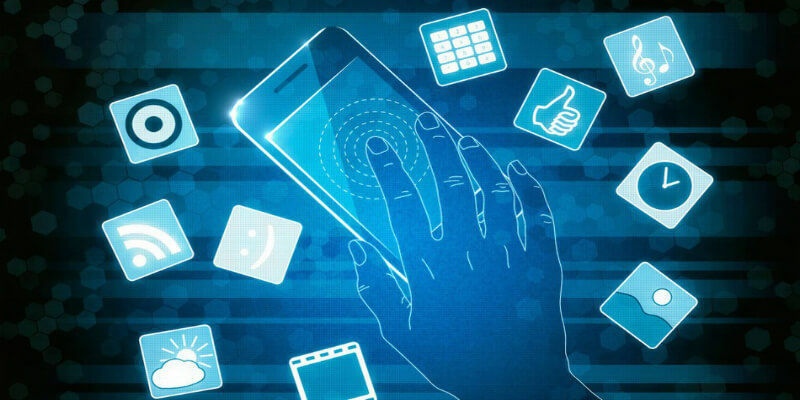 A large number of companies are using enterprise mobile apps, but few are using the power of a robust enterprise mobile app strategies to stand apart from the crowd. So, without further ado, have a look at all these tips for profitable app strategies.